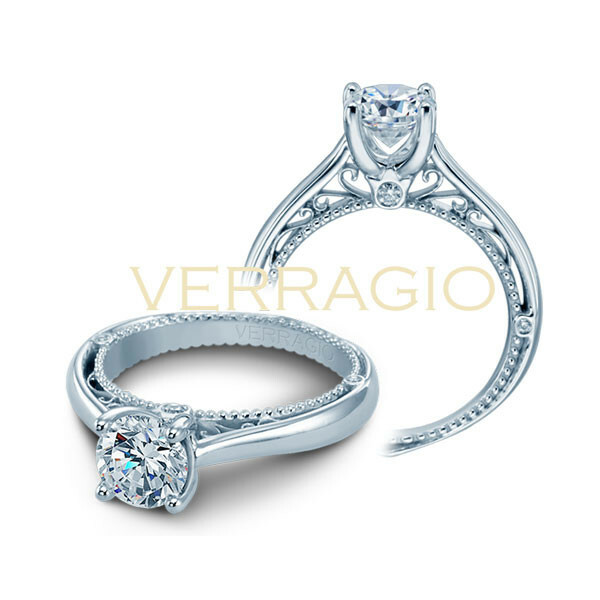 This solitaire engagement setting is part of the Verragio Venetian collection. It was designed to make the most of your round brilliant center stone. A picture-perfect profile shows a diamond in crown motif beneath the center stone, as well as other bezel-set gems at 3 o'clock and 9 o'clock, metal scrollwork and an interior with French beading. This simple Verragio engagement setting says so much about love and commitment!